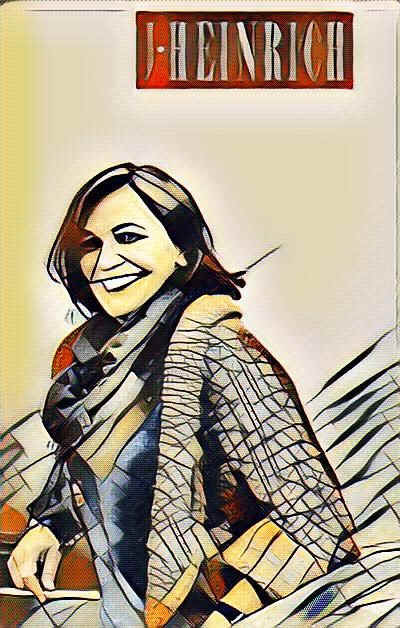 A visit to the modest town of Deutschkreuz was rewarded with an hour, or so, of time with a remarkably talented vintner in Silvia Heinrich. Her family traces its roots back to the mid-1700s, but it was Silvia's grandfather who planted a lot of the various vineyards she cultivates today. Her parents ran the modest winery until 2002 when ownership transferred into her capable hands. 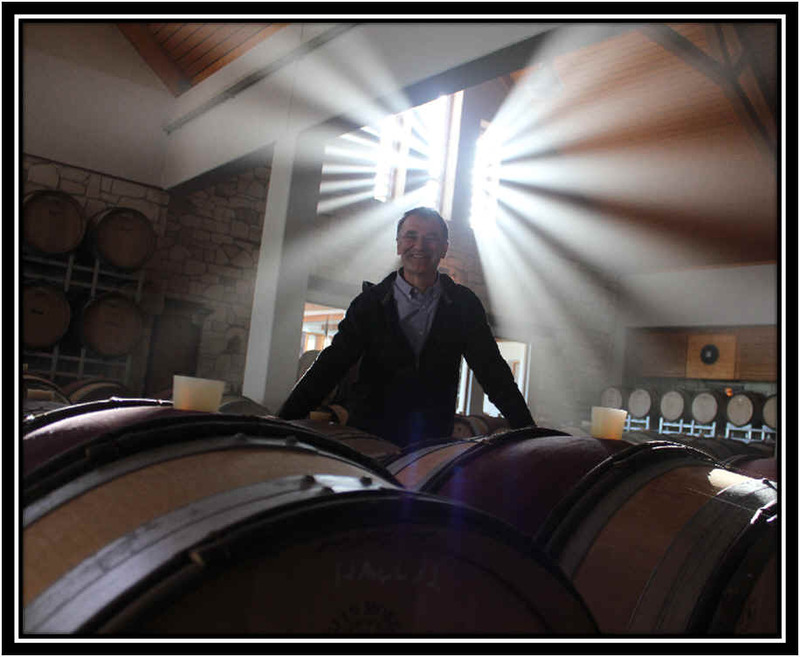 They have about 36 hectares of vineyards, along with using 4 hectares owned by their cellar man, Mario. Most of the production is Blaufr�nkisch as this is, after all, Blaufr�nkischland! Her grandparents planted numerous vineyards when they got married, shortly after World War II. As a result, Silvia has the luxury of producing wines from 50-70 year old vines! The "Goldberg" vineyard site is one highly prized by Silvia. Aside from the rabbits, notice the little cabin atop the highest part of this hill. Before the war, a nice little villa was situated there, but destroyed by Russian soldiers. Today she's been allowed to construct a small edifice and it's a nice little retreat to sip a glass of Blaufr�nkisch during the summer when the vines more intensely carpet the hill. The rows planted by her grandparents were quite far apart, so her father had the idea of planting a 'second' row closer to each of the original plantings. This part of Austria has numerous windmills. Back at the winery, the Heinrich cellars are immaculate and well-organized. 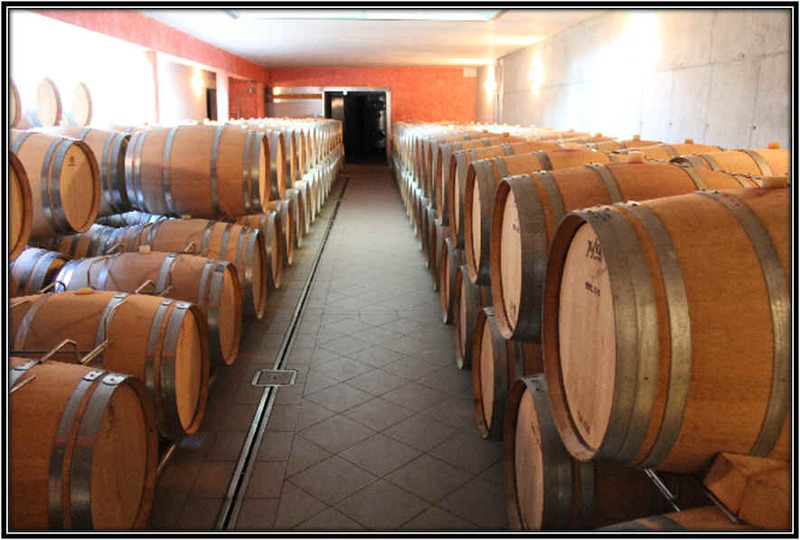 A few of the more 'fancy' bottlings are matured in small oak, though Silvia is refining her idea of the right level of wood and reducing the exposure to new barrels by a small margin. There are larger wooden casks for maturing various red wines, too. But Silvia has traveled a bit and so she's also interested in dabbling around with Cabernet, Syrah, Merlot, Pinot Noir (50 year old Pinot vines! 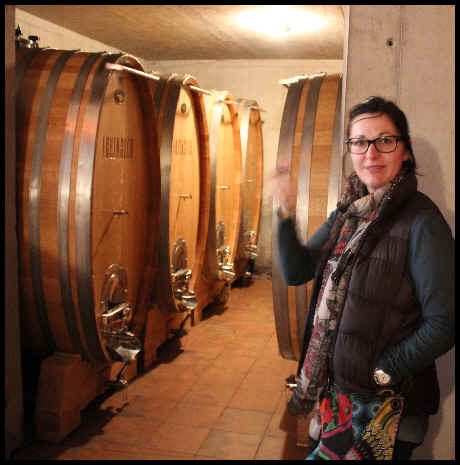 ), Zweigelt and there's even a small patch of Nebbiolo as she spent some time in Piemonte with a family that specializes in Barbera (I suspect they didn't want her to plant Barbera...she might make one that's superior to theirs!). 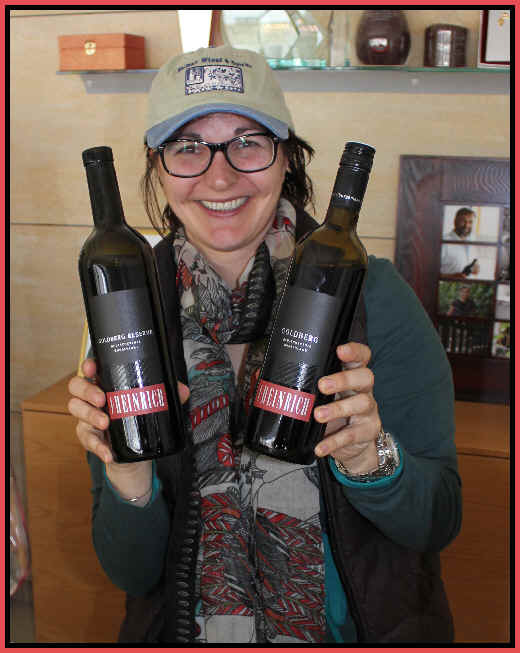 When you taste the range of wines Ms. Heinrich produces, you'd come to the conclusion that Blaufr�nkisch is a rather "noble" red grape, easily on par with varieties such as Tempranillo and Sangiovese, for example. Her wines easily are comparable with many Cabernet Sauvignons, too, for that matter, although the Blaufr�nkisch grape probably shows greater versatility in terms of producing seriously good wine with little or no oak...Cabernet seems to often achieve greater notoriety when it's in new cooperage. We currently have her 2009 "Goldberg" Blaufr�nkisch in the shop. This is an exceptional bottle of wine and it comes from vineyards planted the year Silvia's grandparents were married, 1947. The wine displays beautiful dark fruit notes, with blackberry and dark plum notes. There's a woodsy quality to the wine, too, but the oak nicely seasons the wine. The texture of this on the palate is a delight. It pairs well with roasted chicken or red meats, though the tannin level is modest, not high. This estate has become highly regarded for its wines. 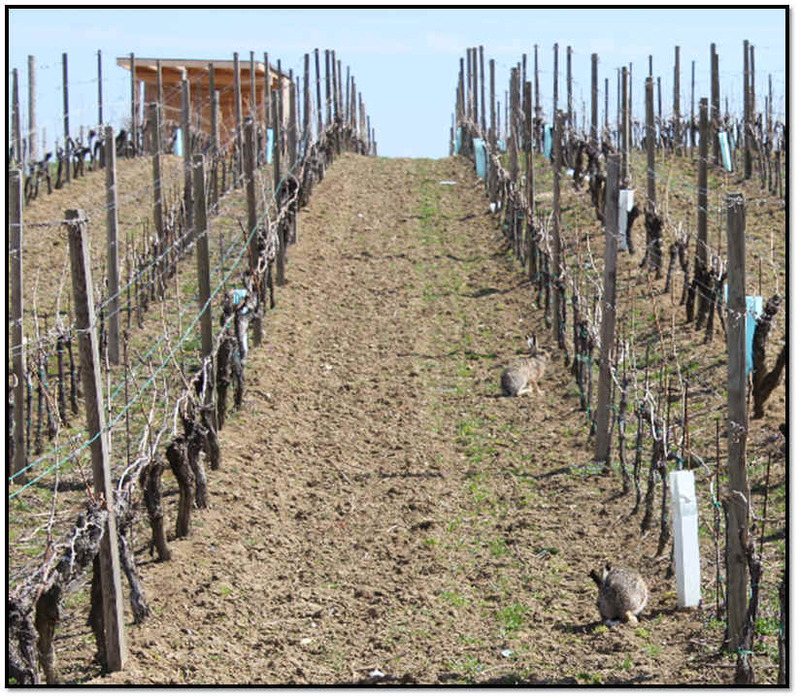 The family has long been in the Burgenland near the Neuseidler See, but for many years they were part of a grower's cooperative winery. Then in the mid-1980s, the farm was being run by Josef Umathum. Back in the early 2000s we knew this estate as a good source of soulful Zweigelt and Blaufrankisch. His wines routinely stood apart from others and we found the wine to have a really interesting fragrance and a deep, compelling flavor. A few years ago we tasted a number of wines and didn't find them to be as interesting as they had been. So they dropped off our radar. He was fooling around with Pinot Noir, if I recall correctly...perfectly okay red wine, but not as good as the Blaufrankisch! 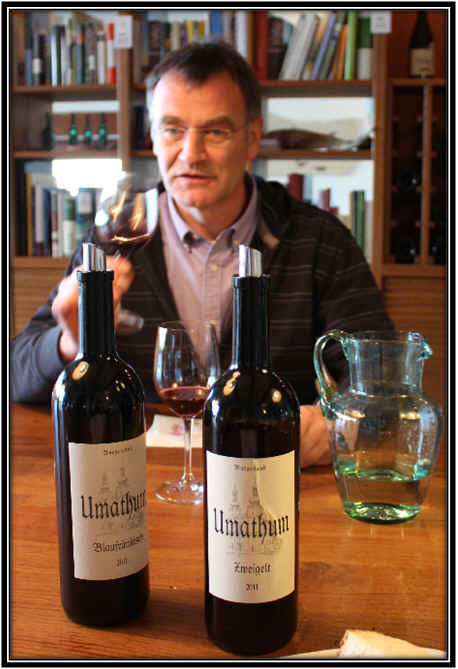 Recently a new importer picked up the Umathum wines and we just tasted a remarkably fine bottle which is a delight. It's even more amazing in that this guy, a red wine specialist, is dabbling with some white grapes. Well, nearly "white" grapes. Umathum grows two types of Traminer...one is the Gelber or "yellow" Traminer. This is a rather aromatic grape and it's now said to be probably the same variety as the French variety from the Jura called Savagnin. And Umathum has a "red" Traminer...there's a clone of Traminer, you see, which when it gets ripe, has reddish-colored skins. The 2011 Traminer is sensational! The color is light yellow and the fragrance is beautiful, with aromas of rose petals, ripe honeydew melon and a pear-like note. It tastes fairly dry...if it has any residual sugar, it's got to be close to 4 or 5 grams per liter. This is a delicious partner for Asian-styled foods. 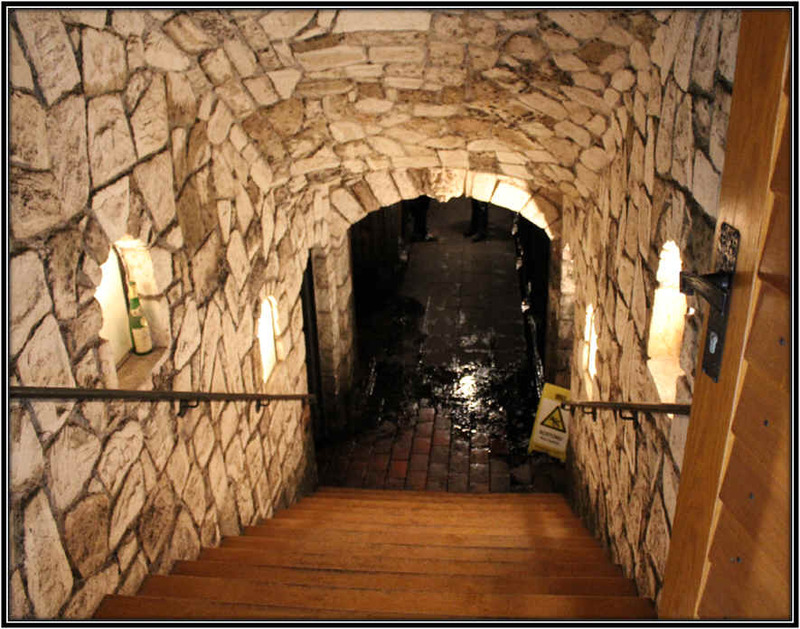 There's a nice, traditional underground wine cellar which, as you can see, has a high level of humidity. Josef shows off a bottle of wine which could possibly land him in jail. It was made with the nearly-extinct grape called Lindenbl�ttrigen and Umathum's mistake was printing the name of that "unapproved" variety on the label. So now, bottles of this wine have the grape name blotted out and there's a sticker on the bottle explaining why (and naming the agricultural minister and winery "police" official who sought justice in this criminal matter). Umathum could be jailed for 15 days. We offered to send him a pizza if he's behind bars and he said that's okay, but to please bring some wine, too. It seems the grape was not listed in the government's official roster of grape varieties and so, under Austria's strict labeling laws, it cannot appear on the label, nor can the appellation or vintage! So, this wine is strictly verboten! We have a 2016 Rose which reminds me of the marvelous pink wines made by Robert Mondavi in the early 1970s...Mondavi's was made from the Gamay grape. 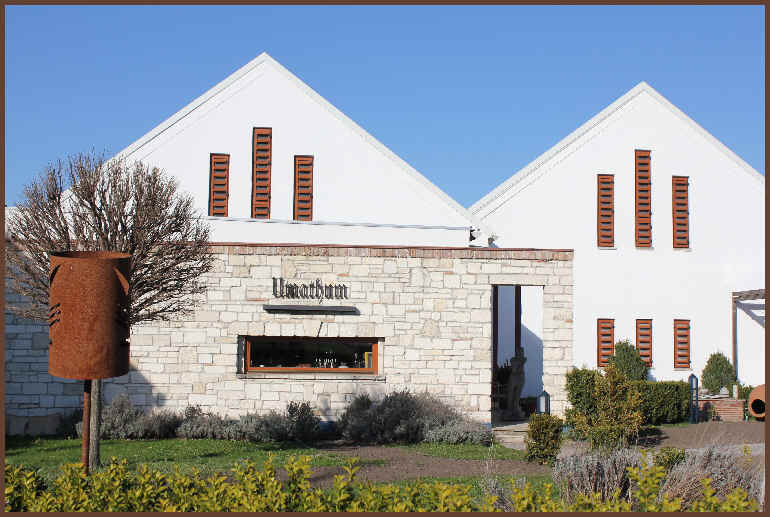 Umathum's is made of three Austrian grapes: Blaufrankisch, Zweigelt and St. Laurent. If you would have said our best-selling Rose this year would be from Austria, I'd have said you're crazy...but this past year we found great success with this wine as people who never would have thought to buy 6 or 12 at a time! The wine is medium-bodied, dry, redolent of fresh strawberries and is a delight. The 2011 Blaufrankisch comes from gravelly soils which have a lot of iron. Umathum says the vintage was very good in terms of quality. We like the mildly spicy notes--there's a red fruit element here with a faintly peppery character. Maybe it's got a touch of underbrush, along the lines of a Pinot Noir. Most people do not think of Austria as a prime place for Sauvignon Blanc. But the Steiermark region in the south produces world class Sauvignons (and they can be expensive, ranging from $25-$60 a bottle). Umathum makes a bit of Burgenland Sauvignon and it's aromatic and redolent of gooseberries and "green" things. We find it to be dry and there's no oak here. Very fine. And it's a most pleasant surprise. The town of Andau was actually Hungarian until the 1920s when it became part of Austria's Burgenland. It's situated near the border and it was somewhat the subject of a James Michener book called "The Bridge at Andau." Michener wrote about the Hungarian Revolution of 1956 and the mass exodus of people across the border at Andau. Today it's a small town of a couple of thousand people. About 300 are members of this co-operative cellar and they've spent a ton of money over the past decade, or so, to modernize the winery and improve wine quality. They've also enlisted the help and advice of a prominent, local vintner to elevate wine quality. As a result, Josef Umathum is a periodic visitor to this place (about a 15 minute drive from his home base in Frauenkirchen). We tasted a couple of simple red wines from Andau and we liked their Blaufrankisch, but were enchanted by their Zweigelt! It's a young, berryish red wine with no oak, and a nicely spicy quality. It's only 13% alcohol, a relief from so many California wines which tip the scales around 14.5% or 15%! A remarkably good sweet wine is currently in stock. It's made from the aromatic Scheurebe grape and was picked at Beerenauslese levels of sugar. The wine has just enough acidity to keep it from being ponderous and it's a delicious wine right upon release. There's a honeyed note along with the fruity, citrusy tones. And with Sauternes going for $30-$60 for a similar quality half-bottle, this is a deal. This modest estate is situated in Austria's Wagram region, a bit north and west of Vienna. 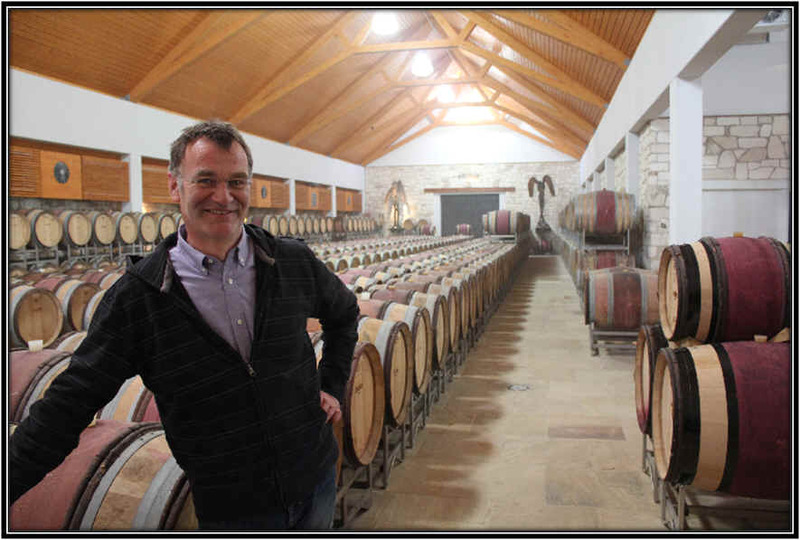 Owner and winemaker Bernhard Ott has been attracting attention to his vineyards and wines for some years. 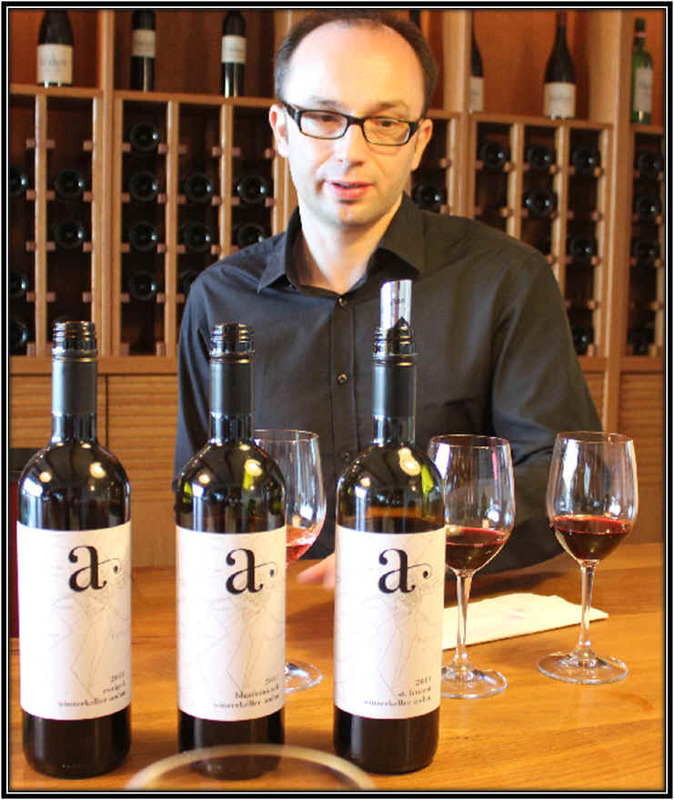 In 2008 he was named as "Winemaker of the Year" by the Falstaff magazine, Austria's top wine publication. 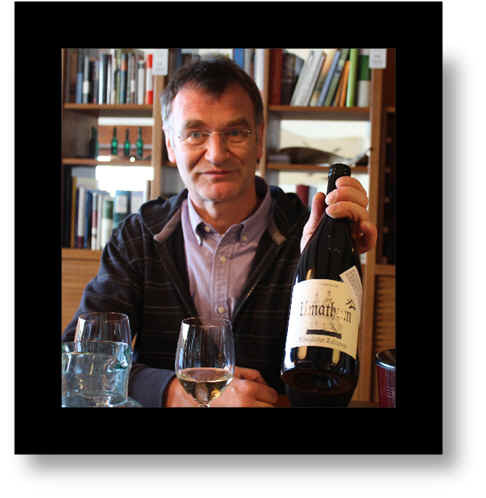 His is regarded as a Gruner Veltliner meister, but perhaps even more: a Gruner fanatic! Ott's wines, though, are not for everybody. He is farming biodynamically and we find his wines to be more along the lines of "terroir" bottlings than typical varietal offerings. And this is the wine Ott wants to make. He strives to capture the character of the vineyard site in his wines. There's a 2009 Gruner Veltliner and this wine is a bit different from the other bottlings of this variety we have in the shop. It's certainly a more "terroir" driven wine, rather than a wine capturing the fruit elements of Gruner Veltliner. If you can imagine a wine made of Gruner, but with the stoniness you might find in a somewhat flinty Chablis, then you'll have an idea of what to expect here. It's quite dry and the minerality is more prominent than the character of the grape. Johann Schmelz is the kellermeister and owner of this wonderful little winery in the Wachau town of Joching. This town (and some of its neighbors) is home to many of the very best Wachau producers. Competition is fierce and this probably accounts for the rather high level of quality, even at the more modest wine estates. Johann is the fifth generation of Schmelz's and the sixth, Thomas Schmelz, is already quite active in the vineyards and winery. Johann's first vintage was 1988 and today they have about 10 hectares of estate vineyards. They also buy fruit from several growers. 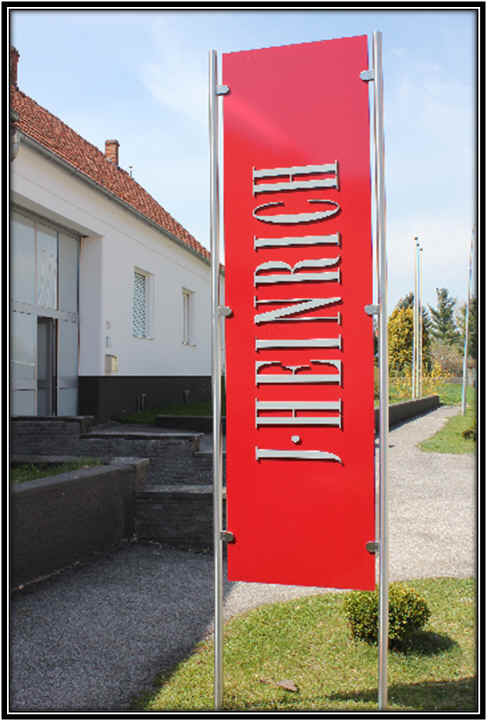 They are amongst the "elite" producers in the Wachau, being on the expert's list of the best vintners. Johann and Thomas, with the wonderful expanse of the Wachau behind them. Thomas shows off their soil, a major factor in the quality of their grapes. 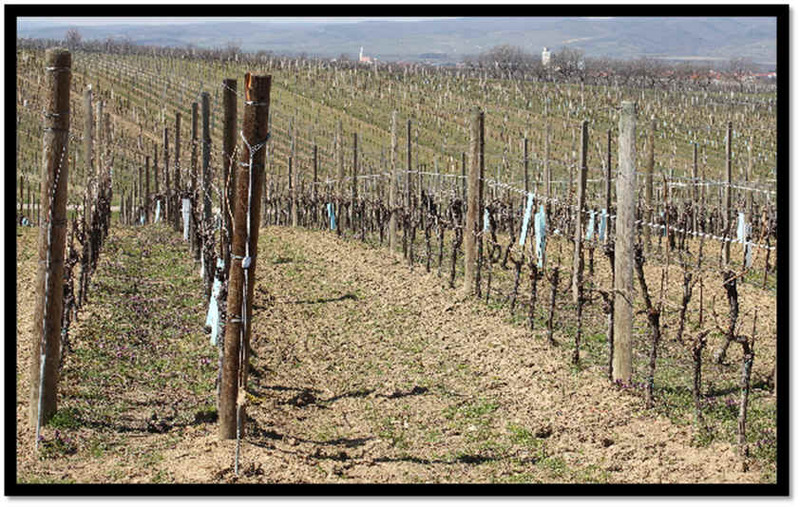 They plant Riesling in the more sandy areas and Gr�ner Veltliner is situated in "loess," a somewhat fine, powdery soil. Their vineyards are well cared for. Nice elevation, too, providing good drainage for the vines. Behind the town in the distance and just before the mountains is the Danube river. They have a lot of stainless steel and refrigerated tanks to ferment the juice of Riesling and Gr�ner Veltliner at low temperatures. This isn't much of a "secret," but it does account for the remarkable freshness in their white wines. 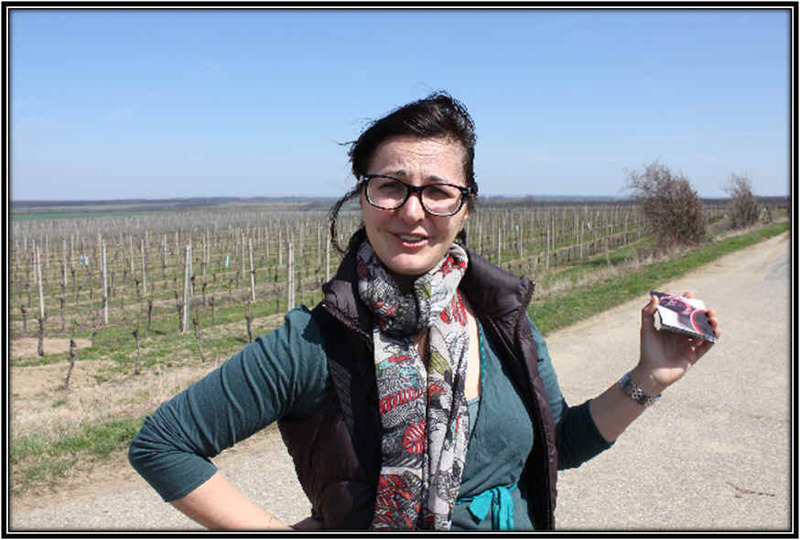 We first discovered their wines when their importer brought by some fabulous Gr�ner Veltliner. The "basic" Schmelz wine displays a wonderfully intense grapefruit and white pepper spice we love in this variety. 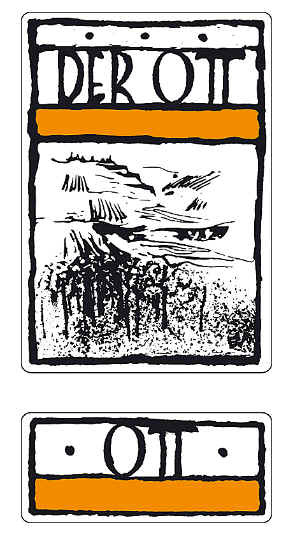 This has the Steinwand designation, a vineyard site in the Joching area. We picked up some Riesling "Stein am Rain". This is a wonderful site for Riesling as the "stein" contributes a stony, minerally character to the floral Riesling. The wine, of course, is rather dry and perfect with all sorts of seafoods or white meats. It's great with asparagus wrapped with smoked ham or Prosciutto, for example...delicious wine! I had heard Mrs. Monika Schmelz is quite a good cook and I happened to visit around lunch time. This was most fortuitous as Monika was busy preparing a meal. Johann got busy and opened some wine and Monika served up a delightful, typical soup. The main plate featured some sort of cutlet with the most marvelous kn�dels! Monika's sauce was outstanding...really great "soul food." Interestingly the Gr�ner Veltliner is flavorful enough to match up quite handsomely with the food. Schmelz does have a nice little "weinstube." It's not open consistently throughout the year, but click on this link and you'll arrive at a page which may have their current schedule. The Carnuntum region is a hop, skip and a jump east of Vienna. If you can figure exactly how to get out of the city of Vienna, you're about a 20 minute ride to G�ttlesbrunn where you'll find several interesting wineries. One of the most famed is that of Walter Glatzer. He owns about 16 hectares of vineyards there, producing about 10,000 cases of wine annually. We've frequently been attracted to Glatzer's wines, sometimes finding a white wine or two to be to our taste. Other times it's a red. I was invited to a major Austrian Bacchanalia in June of 2004 and we had a couple of Glatzer wines which were absolutely delicious! The wine which attracts the most attention for this estate is a red blend called "Gotinsprun," an ancient version of his hometown of G�ttlesbrunn. No matter how you say it, this wine is delicious! We currently have the 2000 vintage Gotinsprun in the shop, a wine that's predominantly Blaufr�nkisch, Cabernet, Merlot and Zweigelt. A more recent rendition (not here yet) features a bit of Syrah, too! But Gotinsprun is not inexpensive. Though I suppose if you compare it to a similar quality Super-Tuscan or chi-chi Australian Shiraz, you'd find this downright sensibly-priced. The wine certainly features oak. But it's not just a carpenter's delight. There are interesting vineyard and fruit components here as well. I find this drinkable now, but then I find most good, balanced wines to be interesting in their youth. I tasted a fantastically good St. Laurent from Glatzer. The 2003 is a rather warm vintage, so the grapes had little difficulty in achieving an optimum level of sugar. This variety is sometimes likened to Pinot Noir, but I can't say this wine is particularly Burgundian in style. It's more like an exuberantly berryish, faintly floral, nicely oaked Zinfandel except it doesn't have the prune or raisined notes of many Zins. Youthful and drinkable now....delicious. The Weninger family actually owns a couple of wineries within close proximity, but one of them is across the border in Hungary! Located in the famous (or increasingly famous) wine village of Horitschon, Weninger cultivates numerous hectares in the middle of Blaufr�nkischland. 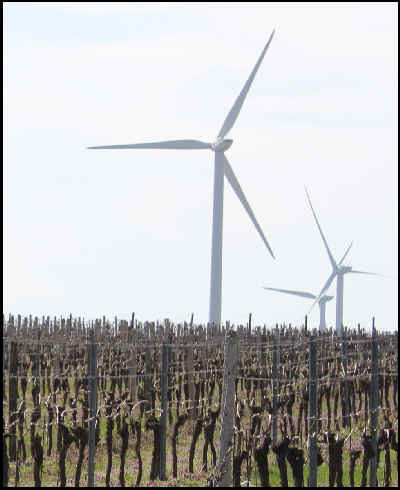 Their vineyards are impressively maintained and the vines are cropped to maximize the quality. Franz Weninger runs the winery in partnership with his wife Martina. We stopped to inspect some young vines near the town of Ritzing where Weninger has planted Pinot Noir. "This should be a good site for the Pinot." he explains. "The elevation is good, the soil is chalky, the climate is more moderate than at our home vineyards a few kilometers away and we've planted good clones of Pinot Noir." Their vineyards are organically-farmed, by the way, though they don't make a fuss over this. It's simply the "right thing to do." 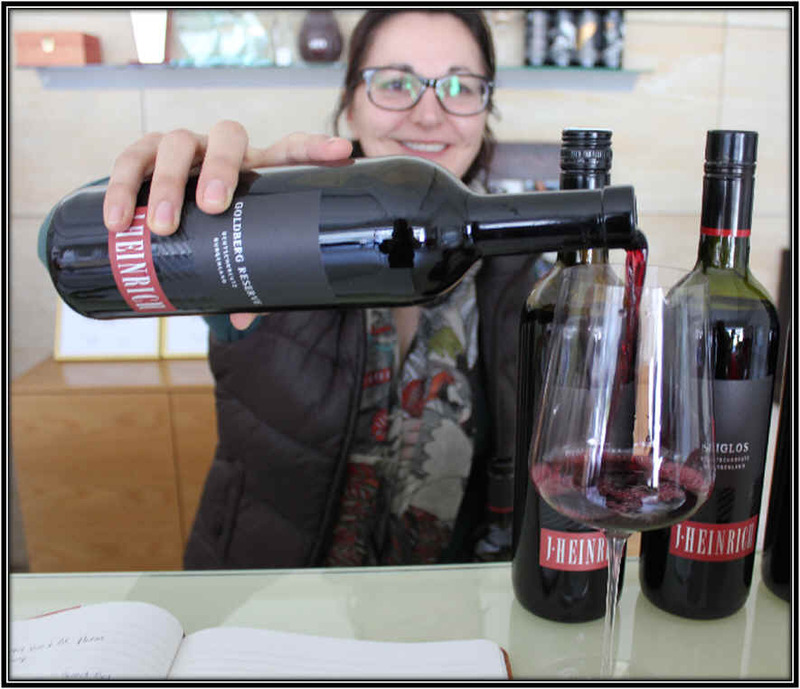 Franz took over the family estate in 1982, making fairly standard red wines and offering them for sale in bulk or in liter bottles or jugs. His 1983 Blaufr�nkisch attracted a lot of attention, a "taste" of what was to come. In 1992 Weninger began a collaborative effort with famed Hungarian winemaker Attila Gere. And in the late 1990s, he founded another winery across the Hungarian border and his son takes care of the winemaking and vineyards there. Capturing the "Winemaker of The Year" award from a national wine publication in 1995 hasn't seemed to go to Weninger's head. He's very serious and passionate about making soulful wines. The cellars feature both stainless steel and new, but "old fashioned" wooden fermentation tanks. There's a cellar full of new and recently-acquired small, French oak barrels, but Weninger does have a "traditional" small cellar with large casks such as the one pictured above. The line-up is impressive at Weninger and they maintain a rather modern, somewhat austere tasting room. The architecture is rather modern for both the winery and offices. Though he's not famous for white wine, Weninger does make a rather good, light, typical Sauvignon Blanc.